Information terminals like smart phones and car navigation devices with touch panels have become quite common. In accordance with this technical innovation, designs of operation panels shown on screens can now be protected under the design law. On the other hand, in Korea, a function or operability is not required for a screen design. If there is integration between the terminal and the design, the design can be registered. Furthermore, in China, the design registration of digital designs is not allowed. The following table summarizes the most important information regarding screen designs in Japan, China and Korea. The next part explains the transition and change of screens. 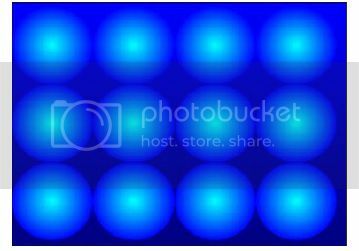 In Japan, in order to have several images protected in one design, the images have to be used for the same function of the good (1) and one image has to be related to the previous image and the following one (2). This regulation is almost the same in Korea. If a design retains a unified shape while changing, it can be filed as fluid design, for example, a change of the bar showing the volume level on the volume adjusting screen (example 2) or when the history button of a cell phone with pedometer function is pressed, the past records are shown as graph (example 1). 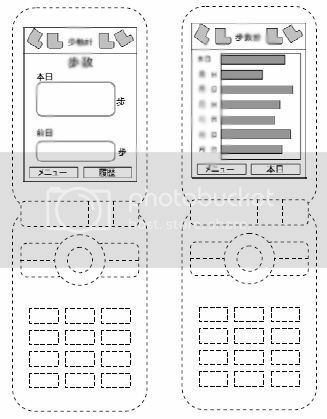 If a screen design is filed in Japan or Korea, a protection can be requested for the goods including the screen design, but it is also possible to (like the cell phone example above) disclaim the cell phone (shown by the dotted line) and file the screen design as partial design. If the design is filed as partial design, even if the design of the terminal changes, the screen design still remains protected. （※）All above images have been taken from the JPO design examination standard.